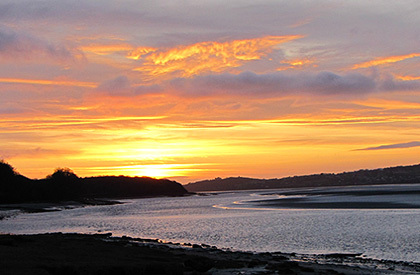 Situated on the Kent Estuary within the Arnside and Silverdale Area of Outstanding Natural Beauty, Arnside is a friendly place with a thriving community and lots going on. This website is part of the Arnside Broadsheet and the aim is, in conjunction with the monthly Arnside Broadsheet and the annual Arnside Directory, to create an information hub for the village and community. Whether you are looking for Local Information, details of the many Clubs, Groups, Organisations and Societies in the village, Community Events and Information, Community News or a Local Business who advertises in the current Arnside Directory, you can find the details within the site. The monthly Arnside Broadsheet and annual Arnside Directory are delivered to all households in Arnside and Carr Bank by a band of volunteers. A pdf of the current month’s broadsheet can be found on the What To Do and Community Events pages. This year the Broadsheet celebrates its 40th Anniversary. The Arnside Broadsheet started in January 1998 as a one-woman production and, thanks to that woman – Sheila Petersen – along with all the many volunteers who have helped over the past 40 years in various capacities, be it production, delivery or support, it continues to thrive and develop – this website being proof of its continued development. A very big ‘Thank You’ to all concerned. 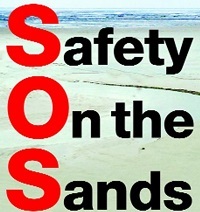 Please take notice of the signs and do not play or walk on the sands or the estuary. The quicksands are dangerous!! In an emergency, call the Coastguard on 999. Guided ‘Cross Bay Walks’ take place throughout the summer months.